You are here: Home / US Real Estate / Residential / Can an Attic Conversion Increase Your Home’s Sale Price? Can an Attic Conversion Increase Your Home’s Sale Price? Converting your attic is one of the easiest and most affordable ways to increase the value of your home. However, some homeowners rush into this type of project and it can become an expensive mistake. Following the local building regulations, putting the proper plan in place and hiring the right building professionals to do your attic conversion, will ensure that you get a much higher price for your home if you ever decide to sell it. Below are some of the main reasons why an attic conversion increases your home’s sale price. The most obvious benefit of an attic conversion is the fact that your home becomes a bigger place to live in. This increased floor space ensures that you are likely to sell your property for more money when you decide to put it on the market. You can also add features that make this additional space even more valuable. For instance, you could add Whitesales skylights or roof windows. Simply adding more living space to your home in this way attracts a wide range of buyers. Couples who intend to start a family or those who already have kids need plenty of space. The additional space an attic conversion offers a family makes your home a much more attractive property for people in this situation. Investors are another group of house hunters who see the value in a house that has more living space and more rooms. This is especially true for investors who intend to buy a property and put it on the rental market. An attic conversion instantly increases the number of rooms available to rent, which automatically increases its rental income potential. The financial costs associated with this type of building work should be considered as an investment. You already own the attic space in your home, so you don’t have to expand, buy additional land or make huge alterations to the structure of your home. This means you spend much less on this type of building work and the amount your home increases by when you decide to sell it will be much higher. 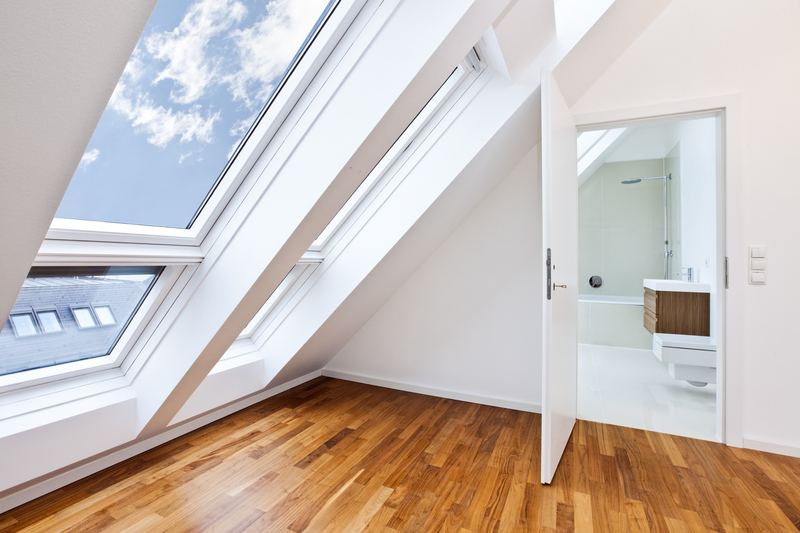 As well as creating more living space, converting your attic lets you use your home for other purposes. For example, when you do this work you could add an office to your home. This has the potential to make your home a more functional place, especially if you work from home and is also tempting for a wide range of buyers who want a place to work in, in their new home too. If it’s a viable option, building an attic conversion has the potential to increase the sale price of your home. It increases the size of your property, attracts more buyers, it’s affordable, is relatively straightforward and your home can be used for a wide range of purposes. About the author: Calvin Page is a journalist and blogger who specialises in articles concerned with all things business, from finance, to management, to keeping a green office, and even the real estate aspects. For more information contact Calvin here: calvpage@gmail.com.